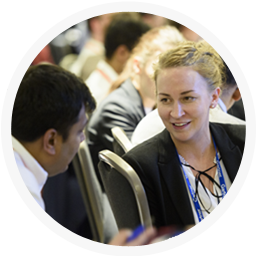 What makes Gartner a great place to work? Great people. Smart, curious and driven toward success, they thrive on new ideas and collaboration. Top talent is why Gartner is the world’s leading research and advisory company. If you’re looking for a great community and want to have an impact on your clients – top financial institutions, telecommunications service providers, utilities, manufacturers and public organizations, you’ve come to the right place. 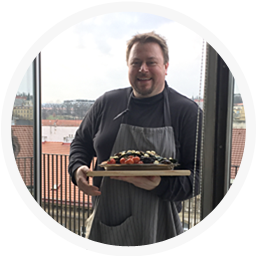 Our office is located in the inner city neighborhood Smíchov closed to Anděl, one of Prague‘s key transport interchanges and now a major commercial and entertainment centre with a number of good restaurants for doing business and reserve a table for your client meetings. Arbes Building in Štefánikova street was constructed in the early 90s. 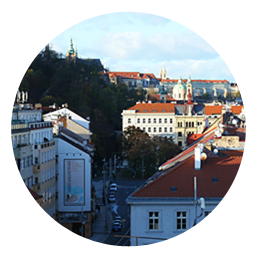 Our offices on the 7th floor have different rooms, a smaller relax zone and a large terrace with a panoramic view of Prague. In sunny spring and summer days, you can easily bring your laptop outside together with a cup of tea or coffee. We are part of the leading global advisory and research company; however, our Czech and Slovak team is above all friendly and easy to get along with. During summer, we like getting together on Friday afternoon for a team barbecue lunch. Everybody can be a chef and we often invite some of our clients to join us. Gartner's elite Global Major Accounts Field Sales organization are at the heart of our double-digit growth. Thanks to further strong growth forecasts, we are looking for a highly talented IT Consultative Sales professional to join us as a Senior Account Executive Financial Services Major Accounts CZ/SK, in our office in Prague 5. If you are interested in working with us, please send your CV to hkabilova@gartner.cz.